This time around we see another of the Coronation Cars – 1195. As with last week’s feature, 1198, this tram was part of the batch of trams built between 1937 and 1941 and had remained in service up until the final year when it was finally withdrawn and then scrapped. 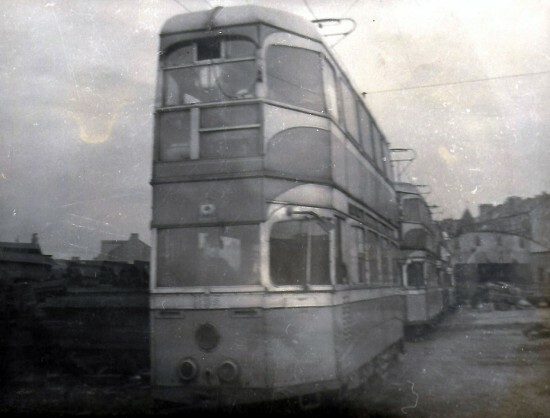 Although a number of other trams from this class were rescued for preservation (1173, 1245, 1274 and 1282) 1195 was not to be so lucky and soon after this photo it was split into two for transport to the breakers yard. This entry was posted in Picture in Time. Bookmark the permalink.